The movie Longshots: trailer, clips, photos, soundtrack, news and much more! 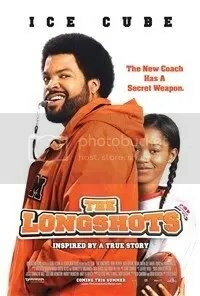 The Longshots is a movie directed by Fred Durst and surprisingly starring Ice Cube and Keke Palmer as coach and football prodigy respectively. The film is about a coach who integrates a girl to an American football team and transforms her into a secret winning asset. 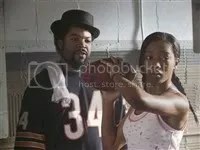 Ice Cube the coach teaches American football to a young girl (Keke Palmer) in Longshots. The secret weapon of the football coach is Jasmine Plummer (played by Keke Palmer), a girl more than skilled at doing long shots.